Consulting service to help you create business systems and make your operation run efficiently. We offer administration support from account and bill payments to account structure set up and data entry. TJS provides personalised solutions based on the client’s individual requirements. We take the long term approach of becoming a permanent solution to your bookkeeping requirements. Remove the stress of payroll. We ensure that all your payroll needs are processed, correct and paid on time, resulting in less headaches and happier staff. We ensure that all your ATO requirements are calculated correctly, prepared and lodged on time. Saving you time, headaches and money. Account reconciliation, adjustments, and review of your financial data can all be done conveniently through remote access. Distance is not an issue. The time you save can free you up for many other business issues and give your business an edge. We are able to offer comprehensive accounts administration services that will take care of any bookkeeping requirements you may have. We can even do other office administration and data entry work if you need it. We know that sometimes you will have questions. We provide exceptional customer support and are here to help you with any assistance or query you may have, with our qualified, knowledgeable and friendly team. 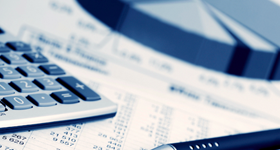 Why Use TJS Bookkeeping Services?